All over the world people have a word for paradise: Hawai'i. Now there's a book that captures that magical place for its millions of residents, the 7 million visitors who make a pilgrimage there each year, and the millions more who long to feel the magic of Hawai'i on cold winter mornings. While the Hawaiian landscape is unparalleled-sun-drenched beaches, wild waves, snow-capped peaks, cascading waterfalls and dramatic volcanoes-the true spirit of Hawai'i lives in its people and their experiences. 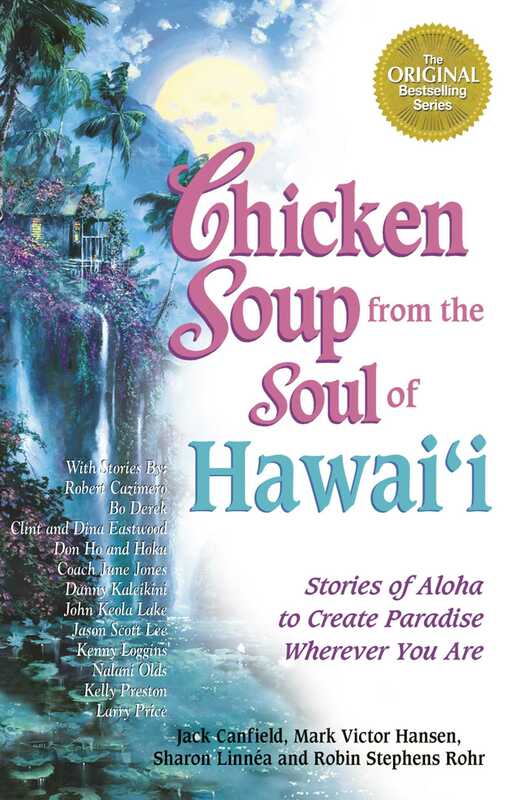 Now, the people of Hawai'i and those who love it share its special magic in this beautiful collection of stories. From celebrities including Bo Derek, Clint and Dina Eastwood, Don Ho, Regis and Joy Philbin and Kelly Preston, to native storyteller Nalani Olds, activist and teacher Kanalu Young, and world-class surfers, athletes, hula masters and master chefs, this book brings the gifts of Hawai'i to the world. Whether readers remember Hawai'i as the place where they fell in love or celebrated their honeymoon, the place they yearn to visit or the place they call home, this book exudes the aloha spirit with every turn of a page.